A "pug nosed, Hedgehog" as the creator stated. Please don't show me the mating video. ...I can pretty much guarantee that this would be the cover. My favorite moment from the movie Ant-man ponified, kind of, hedgehog-ed? Noted reviewer PresentPerfect offered up some of his time to share his thoughts on something of mine again - this time it's Mrs. Robinson's Stand. If you'd like, you can find it here. Thanks again, glad you had a good time! It's been a long two months. Nothing good in theaters, long hours at work, a snowstorm, the computer burning out and a bottle of bird dog, it's been down right uneventful. So, I decided to revisit a movie I'd seen and do something I don't usually do... an outline for a cartoon movie I'd seen on how I'd have done it. I admit it's probably rushed and all in one sitting but it's what I've got. 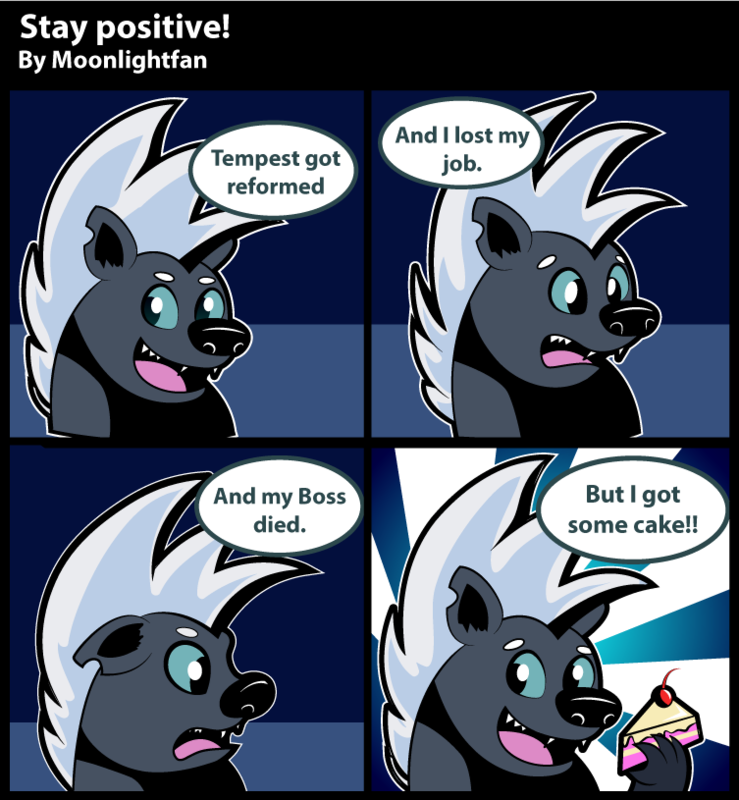 It can be said that what Tempest’s old friends did was cruel. Contemplating everything, Tempest is left wondering if she’s really any better, and if it’s time to return home. or a mix of or all of the above, thank you very much! Writing a one-shot was quite a different experience than writing my epic, but I’m very happy with the way it turned out and I’m glad you enjoyed it! Well this is long overdue: my thoughts on My Little Pony: The Movie. And don't worry, I'll post my rankings on the other EQG movies and seasons in future. And I have seen it. My first time watching the My Little Pony: Friendship is Magic Movie has happened. I'm sitting here in a restaurant inside the mall the cinema is in and just got something from Burger King because I couldn't properly eat anymore before leaving. I got two hot dogs and a medium strawberry shake. And I got the most amazing cinema experience I ever had in my entire life. Brian was a fun-loving balloon. He enjoyed throwing parties for his balloon animal friends. He was always the life of the party. He brought joy to all of the young fillies and colts of Equestria with his balloon antics. He was so well loved that he won the most coveted 'Best Balloon Animal' title eight years in a row. Fillies and gentlecolts, I hereby announce the end of my break from writing, together with a list of my upcoming stories! ..... there is a problem with my multi-chapter fic for Tempest Shadow now. When I saw the movie in October, I quickly developed a few theories about Tempest Shadow, based on some observations from the movie. One was that Tempest Shadow already came to the Storm King when she was still a filly, that the Storm King raised her and trained her to become the super soldier of his army, because he saw the potential in her. Report Fluttercheer · 94 views	· #My Little Pony Movie Prequel #Prequel Comics #Tempest from Equestria #My Little Pony: The Movie #mlp movie #My Little Pony Friendship is Magic: The Movie #My Little Pony: Friendship is Magic Movie #MLP: FiM Movie #Tempest Shadow #Fizzlepop Berrytwist #Grubber #The Storm King #Storm King #Theory #Disproven #Canon #Release Date #Delay #Surprise Story #All that we've been wishing for will happen at the Gala!